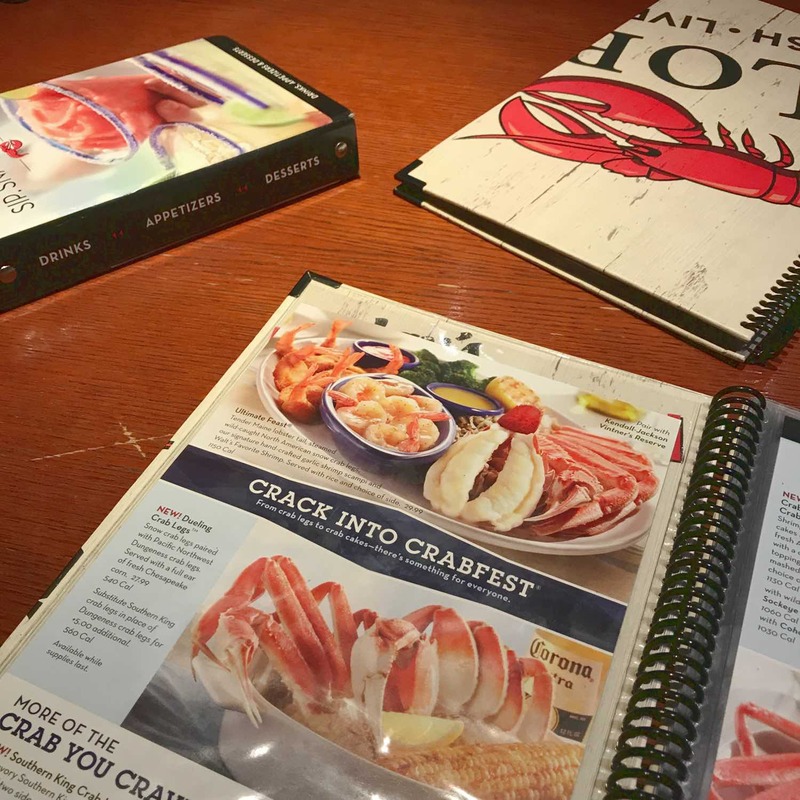 Crabfest is back, and it’s my favorite time of year to eat at Red Lobster. Obviously, I jumped at the opportunity to partner with Red Lobster to spread the word. 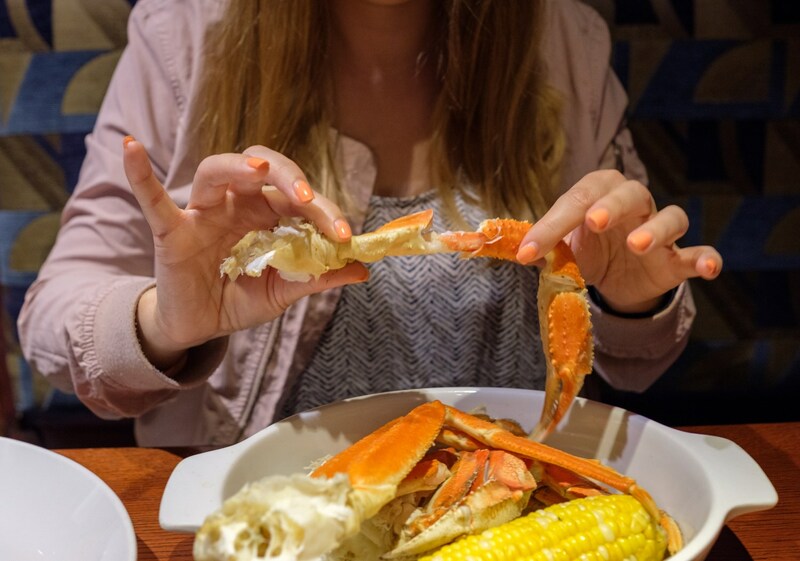 This year for Crabfest, Red Lobster debuted two new types of wild-caught crab to take things up a notch; Dungeness (my fave!) and Southern King. Dungeness crab hails from the Pacific Ocean and has a uniquely salty and sweet taste. I was so excited to learn it’s now part of the Crabfest lineup. On our most recent visit to Red Lobster, I opted for the new Dueling Crab Legs entrée. It features both Dungeness and Snow crab legs, and it’s brand new to the menu. 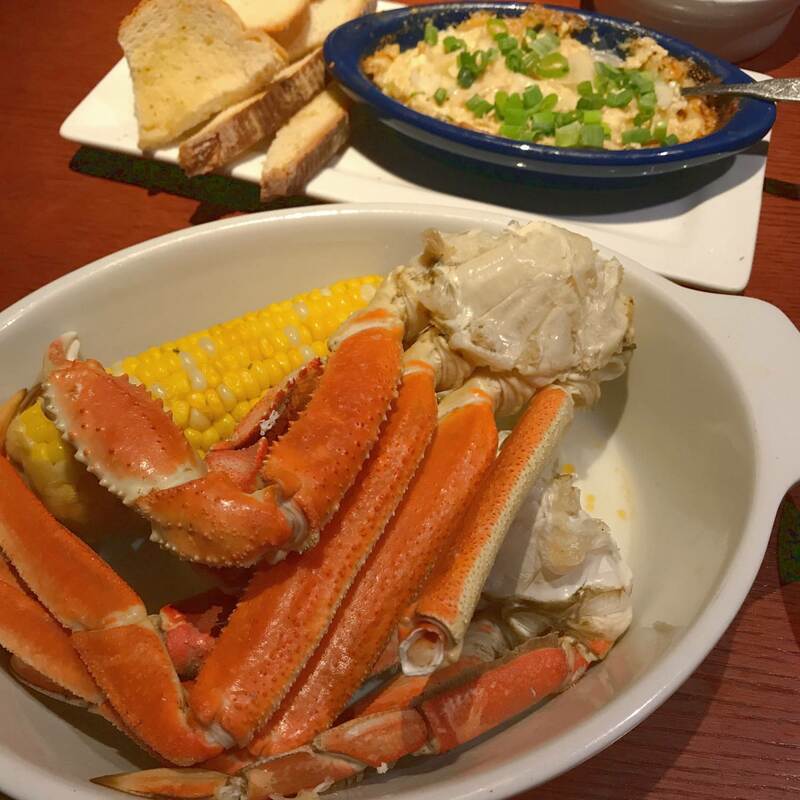 The heaping portion of crab came with a steamed buttery ear of corn, and I loved every last bite. The crab legs had just a hint of seasoning, allowing their true fresh flavor to come through. Melted butter comes on the side for dipping at your discretion. Just the way I like it! 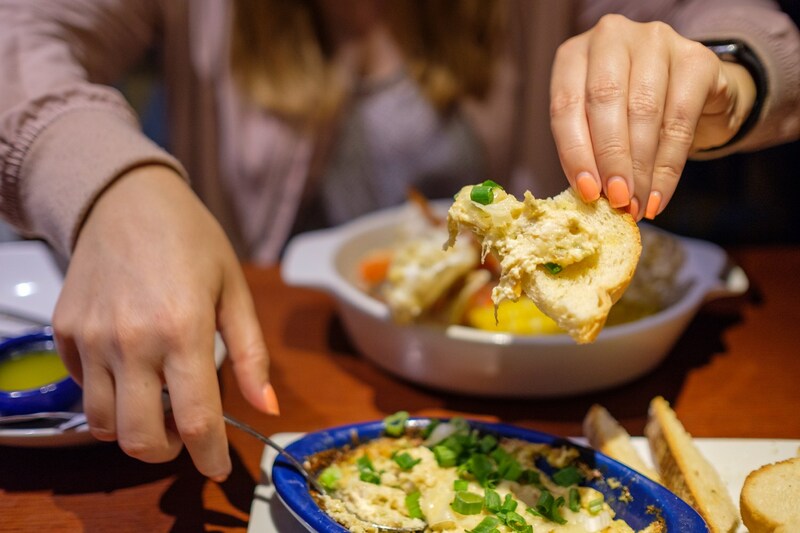 We also tried the Three-Cheese Crab Dip, another new menu addition. The dip was chock full of crabmeat and three creamy cheeses, topped with chopped green onions. This scrumptious appetizer is a must and it’ll have you tempted to lick the spoon. As a seafood lover, it’s important to remember that there isn’t an endless quantity in our oceans. Red Lobster has an unparalleled supply chain standard and quality commitment that begins long before you step into one of their 700 restaurants. They place a huge importance on sustainability and protecting our oceans, all the while brining customers the best quality fish and shellfish possible. To learn more about the sea-to-table journey of Red Lobster’s Alaskan crab, watch the interactive video on their site. Huge thanks for Leha at the San Bruno location for serving us and making sure our basket of Cheddar Bay Biscuits was promptly refilled. 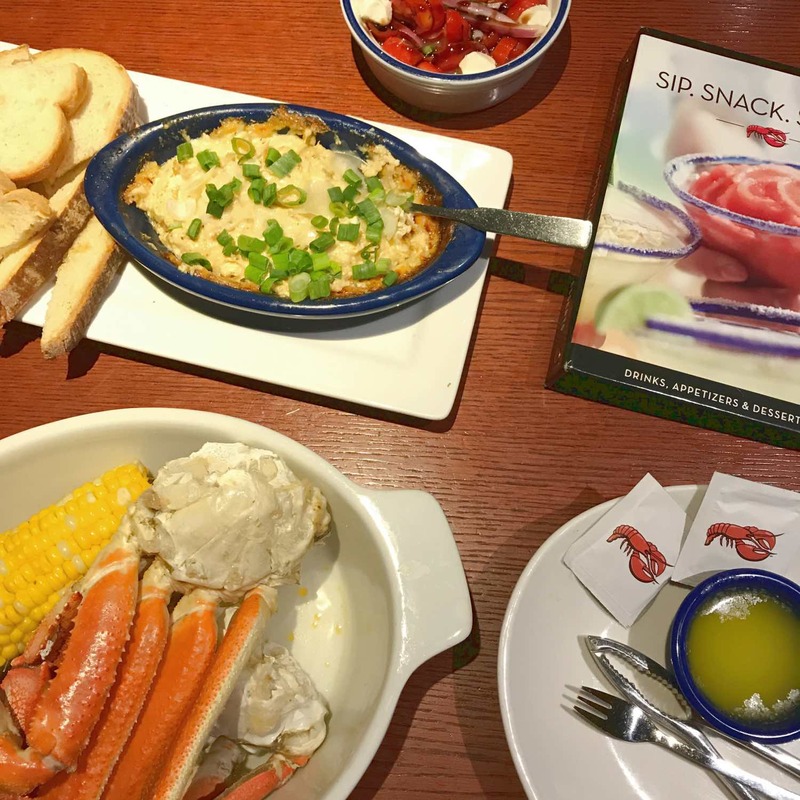 Crabfest is here for a limited time only, so get to Red Lobster soon to enjoy it! Red Lobster is the best! Love crabfest and all those irresistible cheddar biscuits! Congratulations on getting the opportunity to collaborate with them. I love crabs and I really ate to my heart’s content when I went to Malaysia because it was cheap there.